Home / History / Motorola / Happy 90th Birthday, MOTOROLA! Today is a very special day for all of us. It's a day of celebration. It's a day of remembering some of the most iconic technology of the past 90 years. And it's also a day to be thankful. We have to be thankful to the company that changed the World forever. Motorola played a big role into making most of the technology we have today. Think about it: we could have been born at any time in history, but we were born sometime during Motorola's glorious 90 years. This is why we celebrate this legendary company. It was, and still is, even after 9 decades, one of the most-known and trusted brands in the world. That's the reason you are reading this right now: you care about this brand, just as much we love this company and its rich history. That's why we are so thankful to Motorola and its past and present employees and everything it has accomplished over the years. Happy Birthday, Moto! 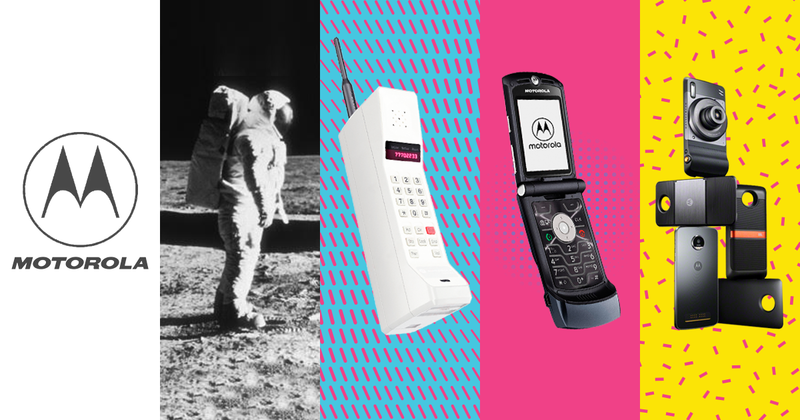 For 90 years, the Motorola name has been synonymous with quality, innovation and trust around the world. Over 100 million products sold each year carry the Motorola name and demonstrate the brand's lasting power and continued relevance in today's ever-evolving marketplace. - Motorola Trademark Holdings, 2018.